Perfect for the light out-riggers on a center console. These are the smallest Ball Bearing Pulleys available and perfect for Center Consoles.Tiny, light and versatile with a 5/8" diameter sheave and a very high breaking load. 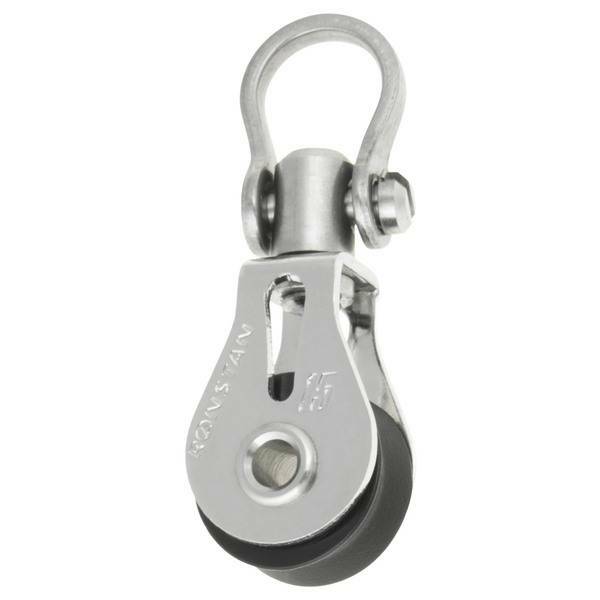 These are perfect for the light weight center console outriggers yet strong enough for any size riggers. Almost half the size of the most popular pulleys being used today. 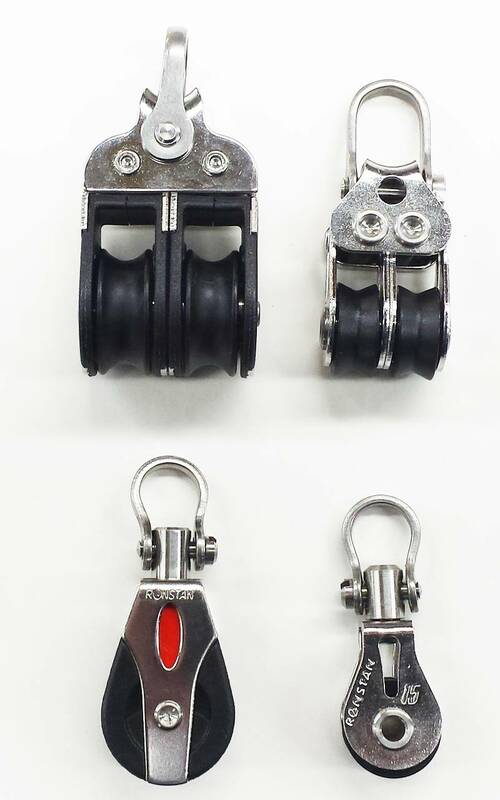 The image shows the difference in size compared to standard outrigger pulleys.